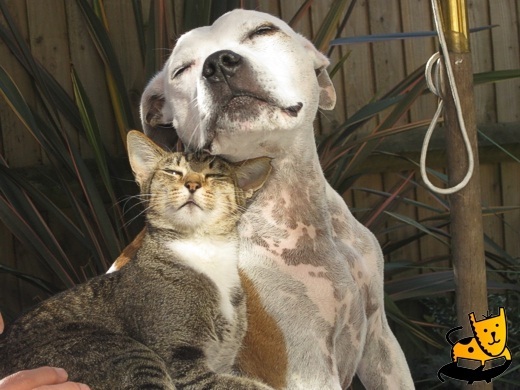 Pet Care cat and dog friendlyness cat and dog picture cat dog friendship dog and cat affection Dog-Cat Friendship Forever ! 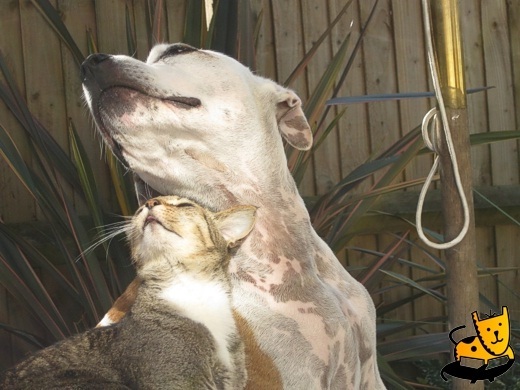 We have always heard that there is no friendship between the dog and the cat.Usually dog always threaten the cat and cat also shows some routine respect to dog by not annoying the dog.But some rare case happens in this world also.Some cats also get the affection from the dog.Some dogs also love to play with cat. This relation becomes a long time serious bond and which reflects in their behavior.They love each others affection and love.They love each other company.They love to eat together.They love to play together. 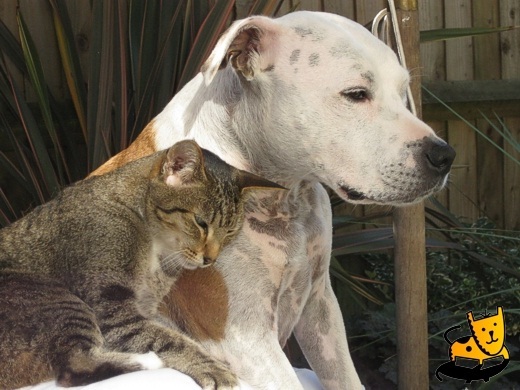 Even if as the dog is big enough to protect cat so he protects the cat from other dogs who does not like the cat. When the cat sleeps it gives the cat warmness when it is cold. The above pictures show this type of affection between the cat and the dog.Go to see this.